Keep Fido Mentally and Physically Active – Boredom Busters, Enrichment Exercises & More! Science has only recently began to look at boredom and understand what makes people bored. A 2012 review of boredom research entitled The Definition, Assessment, and Mitigation of State Boredom Within Educational Settings: A Comprehensive Review (Vogel-Walcutt, J.J., Fiorella, L., Carper, T. et al.) suggested that boredom is a combination of a subjective psychological state of dissatisfaction, frustration or disinterest and an objective lack of neurological excitement, all of which result from a lack of stimulation. (Kubota, 2016). Do Dogs Suffer from Boredom? A bored dog, lacking appropriate mental and physical stimulation may get himself into trouble by looking for ways to entertain himself. “Animals in barren conditions seek even aversive stimulation, as if bored.” (Burns, 2017). Problematic behaviors such as digging, incessant barking and inappropriate destructive chewing may be a dog’s way of alleviating boredom and easing anxieties. Some simple changes might go a long way in helping overcome boredom and alleviating anxiety by providing both mental and physical stimulation for the pet. Make sure your dog’s diet is nutritionally balanced. A poor diet may not only affect your dog physically, it could also negatively affect their behaviour. Take your dog to school – Learn how to engage and motivate him! Teach your dog some fun tricks – Check out this A, B, C of Apprentice Tricks video for some ideas! Provide interactive feeding and chew toys. Provide a doggie sandpit – an appropriate place for the dog to dig. Provide a doggie paddling pool – a great place to cool off and have fun in the hot summer months. Teach your dog how to relax and provide him with a comfortable place to do so. 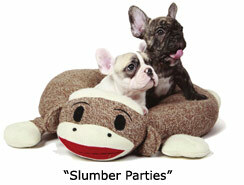 DogSmith Slumber Party – The Perfect Doggy Vacay! Vary your walking routine. Taking the same path every day is monotonous for everyone. Arrange a playdate with a suitable doggie friend. Arrange a Slumber Party or Sleep Over for when you are away. Practice cues such as take it, drop it, sit, down…. while the dog has fun chasing a soft toy on a flirt pole. Play a game of fetch. Play fun scent games like the Find the Hidden ? Game (Insert word of choice e.g. Treats/Vegetables/Ball/Stuffed Toy/Car Keys). Start by ‘hiding’ food in plain sight and gradually increase the level of difficulty. Enjoy a fun game of hide-and-seek. Simply go hide and then call your dog. Start by hiding in a place where you are easy to find and gradually increase the level of difficulty as your dog gets better at the game. This is a great way of proofing your recall cue. Please, remember the recall word is a very important cue and deserves double reinforcement. What betterthan a fun game and a high-value reinforcer every time your dog comes, no matter how long it takes him to find you. Please note, if it is taking a very long time, you should probably make the game easier as you want your dog to enjoy the game and have fun finding you, not get frustrated and give up. A fun tug session is also a great choice! Whether you would like to keep your pet occupied while you are out; need your dog to be quiet while you make an important phone call; want a good way of slowing down how quickly your dog eats; want to give your dog a job in the form of an opportunity to ‘scavenge’ for his food; want to provide a suitable alternative to chewing up your furniture or nibbling on your ankles … an interactive feeding toy or appropriate chew toy is going to keep your dog busy while also providing great mental stimulation. I recommend all pet guardians provide their dog with an interactive feeding toy. My favourites are the KONG Classic, KONG Wobbler, West Paw Zogoflex Toppl or West Paw Zogoflex Tux. Nylabones are also one of my favourite recommendations for those in need of a good, long-lasting chew. 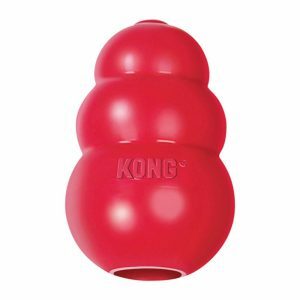 KONGS and Nylabones come in a range of sizes and chewing options. KONG options include the KONG® Classic, KONG® Extreme, KONG® Puppy and KONG® Senior. There are also KONG balls, bones, toys on ropes, rings, tires and many more rubber KONG toys. 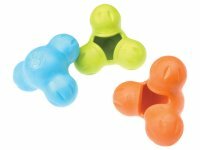 There are Nylabones for soft chewers and Nylabones for extreme chewers. They come in a variety of shapes and flavors such as peanut butter, bacon, cheese, chicken, Philly cheese steak and more, so there is sure to be one that your dog loves. Whether purchasing a KONG, a Nylabone or any other interactive feeding toy or chew, please choose the appropriate size and chewing ‘strength’ for your pet. Puppy teething rings are another ‘must buy’ but something a simple as soaking a face cloth in water and popping it into the freezer, means that you always have something on hand to help soothe a puppy’s sore gums. Please always actively supervise and, if unsure as to whether the pet might try to swallow something, keep hold of it while they enjoy a good chew. Stuffing a KONG is not only good for your dog, it is a great way of using up your surplus (doggie appropriate) groceries! One of my dogs’ favourite recipes is a mixture of cooked sweet potato and flaked chicken mixed with leftover veggies and kéfir. I simply stuff the KONG and pop in the freezer for an extra challenge! If you and your dog are just starting out with interactive feeding toys, keep it simply by simply stuffing with some loose high-quality kibble, small chunks of meat and cheese or a few small treats. Encourage your dog to play with the toy and offer plenty of praise as he starts moving it around to get the treats out. Mix all the ingredients together in a bowl. Split the mixture between your KONGs and freeze for a greater challenge. Another of my dogs’ favourite recipes is banana ice-cream. I blend the ingredients and pour into an ice cube tray. Once frozen, the doggie ice-cream is served in a West Paw Zogoflex Tux (the perfect size for an ice cream cube!). This is suitable for both feeding toy novices and pros. Put all the ingredients into a blender and blend until it’s mixed. Pour the mixture into ice trays and freeze. Serve in a Zogoflex Tux. Three-quarters fill an ice tray with water. Flake in some tuna, sardines, mackerel or salmon. Add 3 crushed blueberries or other favourite fruit such as apple, banana or melon to each cube. Freeze and serve in a Zogoflex Tux. Please note that some food can be toxic or otherwise hazardous to dogs. No onions, sultanas, grapes, raisins, xylitol (artificial sweetener), chocolate, macadamia nuts or cooked bones. This list is not exhaustive. For more information on foods that could be unsafe for pets, visit the ASPCA’s People Foods to Avoid Feeding Your Pets page. Attending group training classes is a great way of providing both mental and physical stimulation for your dog. If you are new to training, we advise a pet dog manners course – The DogSmith Small Paw Etiquette Puppy Class is a fantastic choice for those of you with young puppies. The Pet Dog Ambassador programme is a great choice for dogs of all ages. Fun Scent Games and Trick Classes are also highly recommended as both get a big thumbs up from dogs and guardians! 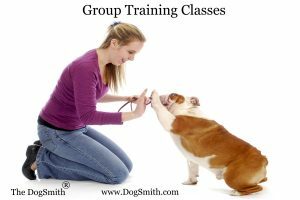 If you or your dog are likely to be unhappy in a group class situation, we highly recommend private training sessions with a qualified force-free trainer. When Should You Call a Certified Dog Behaviour Consultant? While implementing the above recommended ‘boredom busters’ is going to help provide mental and physical stimulation for your dog, if you have a dog with specific behavioural challenges such as: Aggression toward people; aggression toward dogs or other animals; leash reactivity and impulse control problems; excessive barking or digging; destructive behaviours; growling nipping and snapping behaviours; attachment or separation anxiety problems; shy or fearful behaviours; abnormal behaviors, such as excessive licking, air snapping or obsessive tail chasing; hyperactivity… we urge you to contact a certified dog behaviour consultant as soon as possible. The DogSmith offers force-free, learning-theory based dog training programmes coupled with professional pet-sitting and dog-walking services. Whether you’re a dog owner looking to solve a specific behavioral problem, a dog lover simply wanting to strengthen and broaden your relationship with your dog, or a family wanting the best care possible for your pets while you’re away from home, the DogSmith is the only call you’ll ever need to make. Listen to a five minute podcast about the DogSmith and our training and behavior services. There is a difference between the two. Alternatively you can contact your DogSmith who will help guide you in your choice of services. You can locate a local DogSmith here. The Pet Professional Guild is a membership organization representing pet industry professionals who are committed to results based, science based force-free training and pet care. This entry was posted in Lstapletonfrappell, Pet Care Articles & Tips, Pet Products and tagged Boredom, Dog Training, Dog Training School, Dog Walking, Dogs, interactive feeding toys, kong, pet care, pet food, pet sitting, The DogSmith on March 19, 2019 by Louise Stapleton-Frappell. At Pampered Paws we really care about your pet. Here is a good example. This morning a client arrived for a grooming appointment. During her check in process three members of staff all individually, unsolicited and without prompt stopped to welcome her to the resort. They petted her dog and asked how they could help. She was so taken aback by this and said quote ” the place we normally go does not even talk to me when i drop off my dog. This place is great” Why? because we really care. Pets are not appointment numbers or a dollar sign. They are a member of your family and when they enter our resort they become a part of ours. Trust us to care for your pet, we will do so with a level of care you will not find anywhere else. Not a mechanical way, not a process but with affection and concern, providing everything they need and even more – here is the full guide for insurance options you can get. Pampered Paws Pet Resort & Spa. Where your family become a member of ours! At The DogSmith in Oxford and all our affiliate DogSmiths we ensure your pet gets what it needs – when it needs it. Call us today for a free consultation. Learn all about us and give us an opportunity to learn all about your pet. This entry was posted in Pet Care Articles & Tips and tagged Boarding, cat sitting, Dog Training, Dog Walking, pet sitting on May 28, 2011 by DogSmith. The DogSmith having opened its newest franchise in Oxford Ms will now be offering in-home pet care to the Oxford MS community. The DogSmith Pet Care Program gives you the flexibility to care for your pet and reclaim your freedom. 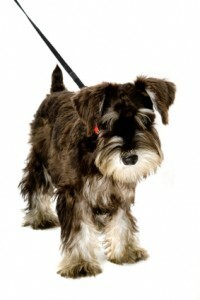 All our pet care providers are certified Pet Care Technicians and are fully insured and bonded. The world of dog walking and pet sitting is unregulated in most areas so anyone can potentially call themselves a professional Dog Walker or Pet Sitter. But, much like choosing the best care-givers for your children, it is essential that you make every effort to ensure you find a qualified, trustworthy and professional pet sitter and dog walker. You are entrusting the health and well-being of your pet family members to their care so ask the following 9 questions about Pet Sitting/Dog Walking professionals before you hire them. 1. What are their Qualifications? Make sure your Pet Sitter/Dog Walker is certified to care for your pet. Pet Sitting/Dog Walking is generally an unregulated industry but there are nationally recognized standards and professional organizations that set the standards and certify qualified professionals. Check with the Pet Care Services Association for their 3 levels of certification; 1) Certified Pet Care Technician (CPCT); 2) Certified Advanced Pet Care Technician (CAPCT); Certified Kennel Operator (CKO).Make sure your Pet Sitter/Dog Walker is certified with a nationally recognized organization. Ask to see their certificate and make sure it is current. You are paying for a trained professional and that’s what you should be getting. 2. What is their Work Ethic / Professional reputation in your community? Does your Pet Sitter/Dog Walker look, dress, and act professional? If you can, observe your Pet Sitter/Dog Walker on the job with other clients. Watch how they handle the pets in their care. Are they on their cell phone or “texting” while they are supposed to be watching their clients at the Dog Park? 3. What are the company’s mission, values and ethics: Check the company’s website and marketing literature. What is their vision and do they explicitly state their ethics? If they do, what they say will tell you a lot about how they view their profession and it is something you can compare their performance against. If they do not explicitly state their values and ethics why not? 4. What is their philosophy on animal handling and care and what kind and type of equipment to they provide and use? Know what type of equipment your Pet Sitter/Dog Walker use and what they provide. Do they use chock chains? How many dogs are they willing to walk at once. Many Pet Sitters/Dog Walkers will not use certain types of collars and leashes and they limit the number of dogs they will walk at one time. This assures the safety and well-being of the animals they are responsible for. 5. Can they provide references? Ask the Pet Sitter/Dog Walker for references from past and current clients. Customers are usually happy to share their opinion . They will be happy to tell you their experience. Many of my clients have been approached by others in the gym. It’s very common practice. If you are not in that sort of environment, tell the trainer you would like to be able to contact or be contacted by his current clients. 7. Can you check their background and do they do background checks on all of their employees? Some Pet Sitters/Dog Walkers my seem great when you meet them and say all of the right things but you are entrusting them with your pets and sometimes access to your home. You should confirm that the Pet Sitting/Dog Walking company does background checks on their workers and you should look into the background of the company. You can use the internet or get more detailed information by using a background check service. The company should be happy to have your check their background. 8. What is their knowledge base? Does your Pet Sitting/Dog Walking company understand animal behavior, first aid, nutrition, emergency procedures? Ask some hard questions that will reveal their knowledge or lack of knowledge. And how do they handle questions they don’t know, do they try to “snow” you are do they simply admit that they don’t’ know. 9. Do they have Liability Insurance and Bonding? Hopefully, if you gone through the previous 9 steps this last step will never matter. However, accidents to happen and you should make sure that your Pet Sitter/Dog Walker carries the appropriate Liability Insurance and that they are fully bonded. If you make an effort to learn about your pet sitting/dog walking professional you will enjoy a long term relationship based on trust and confidence that your beloved pets are taken care of while your away as well as you care for them. Call The DogSmith and schedule a FREE in-home consultation. We offer the Oxford MS community pet sitting, dog walking, pet waste cleanup services. Through our sister company Pampered Paws Pet Resort & Spa we also offer deluxe boarding and doggy day care services. AND don’t forget to ask about our new Lapdog boarding services. This entry was posted in Pet Care Articles & Tips and tagged Dog Walking, pet sitter, spa on April 20, 2011 by DogSmith. The Dirty Secret Nobody in the Pet Industry Will Tell You! Being a Great Dog Trainer is Not Enough to Succeed in Your Own Dog Training & Pet Care Business. History is full of great products and services that failed simply because the business wasn’t operated profitably. To Run Your Dog Training & Pet Care Business Successfully, You Need to Master Business Finances, Manage Employees & Learn How To Market and Deliver Your Dog Training & Pet Care Services to Attract and Retain Customers… The DogSmith will show you how! When you join The DogSmith® Dog Training & Pet Care Franchise you become part of a dynamic team committed to building a successful brand together. The DogSmith® Management Team Has a Proven Track Record of Pet Industry Business Management & People Development Combined With Dog Training Expertise. 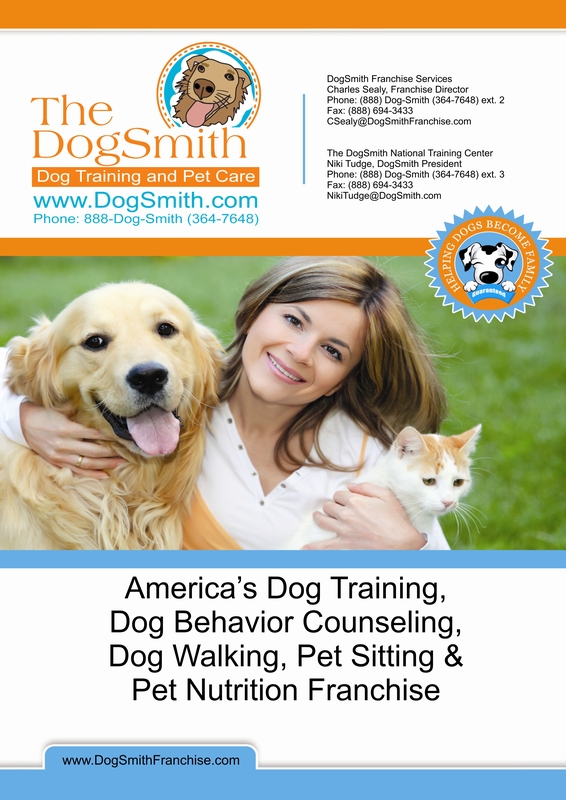 This entry was posted in Open Your Own Business and tagged business opportunity, Dog Training, Dog Walking, franchise, pet care, pet sitting on February 8, 2011 by DogSmith. No doubt about it, every dog needs daily exercise. But if you’re just too busy then fetch a DogSmith Dog Walker. Are you too busy with work and family to give your pooch the exercise it needs? Reclaim your freedom with our convenient and flexible dog walking services. With DogSmith Dog Walking Services, you are never torn between the demands of your busy life and the needs of your best friend. Remember, a well-exercised, tired dog is a happy, well-behaved dog. Indulge your four-legged family member with daily walks while you are at work, burning the midnight oil on a big project or just ‘over scheduled’ with family and friends. Our dog walking services are strictly limited to two dogs. This ensures our client’s safety and that they receive the care and attention they deserve. Our dog-walking program provides you with the peace of mind that comes with having your dog cared for by professional Pet Care Technicians and Dog Trainers who are bonded and insured. DogSmith dog-walking packages are also available in weekly and monthly value packs or can be combined with other DogSmith Dog Training and Pet Care services. Call or visit www.DogSmith.com to learn more and claim your FREE DogSmith Pet At Large (PAL) identification tag. Whether it’s your older pet that needs gentle exercise or a more rambunctious pup that craves a care-free, energetic off-leash romp at the dog park, our dog walking and pet care services can be personalized to meet the needs of your pet. Daily exercise is proven to reduce problem behaviors and anxiety, improve your dog’s mental functions and contribute to a long, healthy and happy life for your dog. Then Get Your FREE Telephone consultation Today! This entry was posted in Pet Care Articles & Tips and tagged dog break, dog exercise, Dog Walking, dogs walking, DogSmith, hire a dog walker on January 12, 2011 by DogSmith. Take The Choke Out of Walking Your Dog! I have been thinking lately about the practice of using choke collars and jerking the lead as a “correction” that many people still use when training and handling their dog. The most common ‘use’ of the ‘jerk’ correction I have noticed is when a dog owner wants their dog to ‘heel’. Over the years, I have witnessed many dog handlers telling their dog ‘heel’ as they have issued a big leash correction. And usually the result of this ‘correction’ is frustrating to the dog owner as the dog pulls even harder against the leash. ‘Heel’ is supposed to be the cue for walk in the appropriate place. Think about it. If you were constantly jerked, pulled or tugged when you were next to, slightly in front of, or behind your owner, would you choose to be in a ‘heel’ position or would you forge ahead or fall behind to escape or evade any future corrections. If I had experienced a correction like that while hearing the cue ‘heel’ I would also want to head for the hills when I heard that word. Inadvertently sometimes the ‘heel’ cue becomes a warning signal to the dog that a correction is coming and thus the cue evokes a ‘move away behavior’ from the owner. It is far more pleasant and effective for a dog to learn appropriate leash manners when they are taught where to walk nicely in relation to their walking partner rather than being corrected for getting it wrong. If the dog is reinforced for correct placement and pace then they will no longer forge ahead or lag behind. A dog training ‘cue’ should be music to the ears of a dog. A dog who has been trained using effective, efficient and pleasant methods will happily respond to a ‘cue’ and training your dog will be a more pleasant experience for all. So let’s take the ‘choke’ out of training and replace it with clear concise instructions that builds your dog’s behavior repertoire, sets your dog up for success and rewards them when they get it right. This is a far more pleasant situation for both owner and dog. In addition to being an ineffective training method, there are real health concerns when a dog’s head is jerked around. To learn the steps and mechanics of teaching your dog to ‘walk nicely’ or to ‘heel,’ contact your local DogSmith. Your local DogSmith will take you through the stages of a) teaching your dog to stand while on a leash without pulling and lunging, b) teaching you the ‘walk nicely’ behavior in steps so you build on a solid foundation, and c) of introducing you to some great management tools to use while you teach your dog new and acceptable behaviors allowing you to walk and exercise your dog without reinforcing the old and unacceptable behaviors. This entry was posted in Blogs To Help You Train Your Dog and tagged choke collar, Dog Walking, DogSmith, loose leash walking, prong collar on January 7, 2011 by DogSmith. Dedicated to the happiness of your pet with your peace of mind at heart. You will no longer be torn between the demands of your job and the needs of your pets. No more worries about your furry family members while you are away from home on vacation or conducting business. We’ll take care of your critters and look after your home. At The DogSmith, our pet care program was specifically designed to give you the peace of mind that comes from having the best of all worlds. Our Pet Care Program guarantees that your furry family members are cared for by trained and certified animal experts while you are away. While you are at work we give your dog a 30 minute walk. For the safety of your pet we limit the number of dogs walked at one time to two. Dog walking is also offered as an additional service during a DogSmith In home pet care visit. This is a five day prepaid package with each daily visit comprised of a 30 minute Dog Romp for up to two dogs. This is a 20 day prepaid package of daily visits, five per week, with each daily visit providing a 30 minute Dog Romp for up to two dogs. This is a six month Dog Romp package including 5 daily visits each week, Monday through Friday. Each visit will be a 30 minute Dog Romp for up to two dogs. This is a one hour romp for your dog at a local, fully fenced Dog Park. Five day pre paid package of daily trips to the local Dog Park for a 60 minute Dog Romp for up to two dogs. This entry was posted in Pet Care Articles & Tips and tagged Dog Walking, Florida, packages, pet sitting services, Texas on December 9, 2010 by DogSmith. Well dogs pull or lag behind on a leash when we walk them because…. They are allowed too. They pull to get to other dogs, smells, people and places. We tend to overly correct our dogs when they are on a leash by jerking and pulling them. If you jerk or tug your dog to teach him not to pull then for the dog this means the slacking of the leash is followed quickly by pain or discomfort. So your dog will try to avoid the loose leash, consequently he is likely to pull more. When a dog pulls on a leash it hurts his neck. The dog pulls harder to escape the pain. 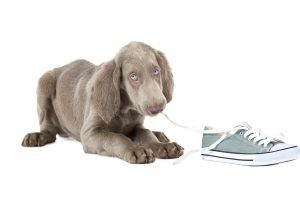 There are some very effective methods that we can use to get our dogs to walk nicely on a leash without us having to shout at them or physically pull or tug them around. A leash is for safety only, it is not a steering wheel or a rudder and should not be used to physically control the dog. Train your dog to want to walk nicely with a loose leash, give then 5 feet of room around you to wander so they enjoy the walk too. Enroll in a Pet Dog Training Class and enjoy teaching your dog how to walk nicely. You can then both enjoy many miles of pleasant walking. This entry was posted in Blogs To Help You Train Your Dog and tagged Dog Walking, Leash manners on September 25, 2009 by DogSmith.